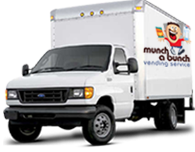 Energize your Oceanside workforce by adding vending services offered by Munch a Bunch Vending. We'll install food and beverage machines in your building that will keep your workforce fueled all day long. Having food and beverage on site gives your employees access to items they want right at the workplace. They don't have to leave the building to get what they crave. Production increases and morale improves. You employees get to rest and relax during break time. All of the vending machines we install come loaded with all name brand food and drink for your Oceanside employees and customers too. You get to select the vending machines and their contents. 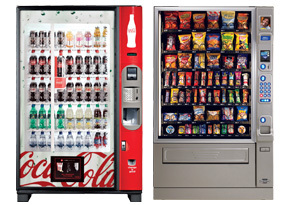 We'll customize the vending machines to the specific needs of your Oceanside business. Our Munch a Bunch coffee services in Oceanside are another way to keep employees in the building and on task. Coffee is the beverage of choice to stay alert and focused. That's why we will upgrade your break room to meet that demand and keep them from leaving to the local coffee house. Water needs are also taken care of in Oceanside by Munch a Bunch Vending. We do plumbed in water filtration bottleless systems. That means you get hot and cold filtered water right from your existing tap. Are you ready to make your employees happy? Contact us today at 760-480-0870 or mabvending@yahoo.com.